We are also looking for more expert volunteers, so if you know a bit about apples/pears and could help with picks later in the year please email me on the adddress above. Have you ever walked past the allotments on Northfields Avenue and wondered what it’s like inside? The allotment committee thought it was about time we opened the gates and let more people see the allotments. The site is a wonderful place, full of greenery and wildlife. We have butterflies, bumblebees, honeybees and stag beetles (which are protected and endangered). We will be having our first open day at the Northfield Allotments on Saturday 15th August 2015. Entrance is FREE! We hope you will come along to see what is normally hidden behind our locked gates. Gates open from 2pm to 5pm. We’d love to see you there and show you around. 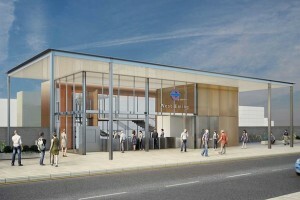 The new glass and steel structure will be located on Manor Road and will include a new footbridge with lifts, a new bay platform for trains on the Greenford branch line, platform extensions and new lighting, customer information screens, station signage, help points and CCTV. From 2018 the new Crossrail trains will begin serving West Ealing and from 2019 passengers will be able to travel through the new Crossrail tunnels beneath central London. Work will start in the Spring of 2016 and take about a year to complete. We’ve some amazing performances lined up for you during August and September – join us for some unforgettable performances starting this Thursday 13 August with an innovative dance performance…Book your place by emailing info@openealing.com or ring 07801 151713. A contemporary dance piece that explores the relationship between people in the city, in a world where we live isolated, disconnected lives. Curated by Ensemble Dance Co founder Hayley Matthews (who hails from Ealing), the piece is visiting Berlin, London, Plymouth and Norwich this year and next. In each location Hayley works with dancers and musicians living in the city where the performance is taking place and grows the work from the fabric of each place. 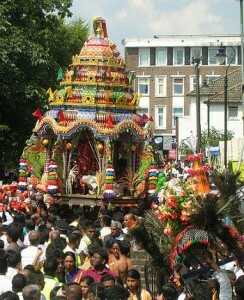 The Sri Lankan temple in Chapel Road is holding its annual Chariot Festival this Sunday. The Chariot Festival is by far West Ealing’s biggest annual event. We have about 10,000 people attending this event from all over Europe and it transforms Dean Gardens and the surrounding area. This weekend of 8/9th August sees the annual Shri Kanagathurkkai Amman Temple (SKAT) festival come to West Ealing once again. The festival culminates on Sunday with the Chariot procession leaving the Temple around 9am, and then returning at about 12pm via Mattock Lane, Culmington Road, and the Uxbridge Road. 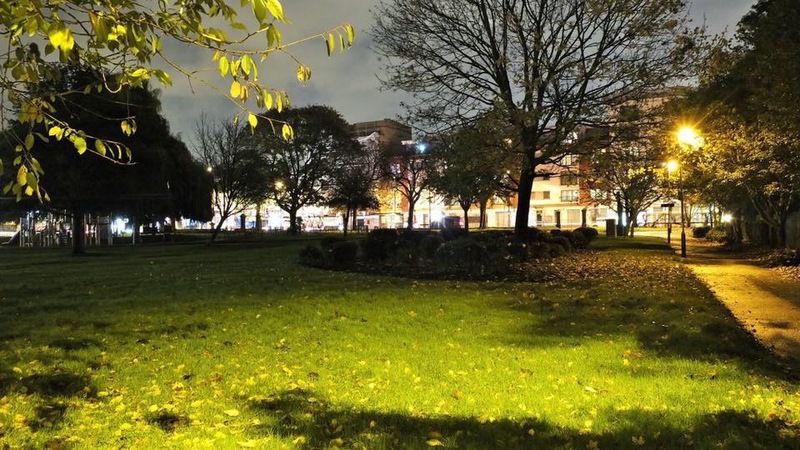 Dean Gardens will be full of stalls with Tamil food, lassi drinks, and selling bric-a-brac to fundraise for the Temple’s activities. It’s a great day out for everyone with lots of amazing sights, sounds and tastes. 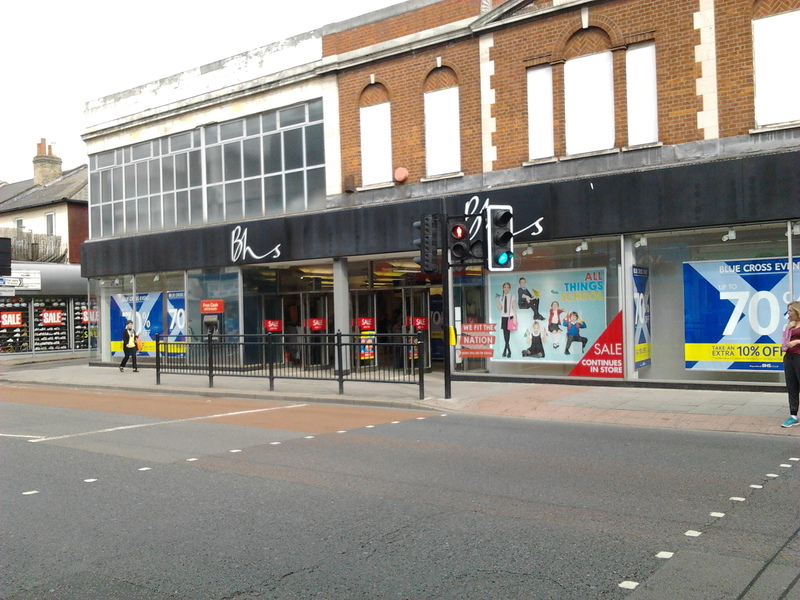 Following the recent sale of the BHS chain, the West Ealing shop is due to close in 2016. In its place will be a mixed use site with retail on the ground floor and 136 homes above. The height of the new building ranges from 7-8 storeys on the Uxbridge Road up to 10-11 at the Singapore Road end. There will be an exhibition and public consultation mid-August. We will update this story as we find out more information.